Monday was Groundhog Day and, in the spirit of Bill Murray, it got me to thinking, “What campaign would I do again”? So while the groundhog and the rest of us will be experiencing more snow, here’s a little about Red Bull’s “Get Your Wings” campaign. What makes an advertising campaign successful? Well, it has to be memorable, engaging to consumers, and show a competitive brand advantage. According to Forbes, for advertising to be “effective,” it must communicate how the product or service fits into consumers’ lives or works to make them better, more productive, happier or more fulfilled. The advertising has to stand for values above and beyond the product or service itself while still resonating with consumers. Making something memorable isn’t difficult – but making your brand memorable can be. There are countless times when I am discussing a commercial or print ad and can only remember what it was about rather than who it was by. Iconic brands are held to a higher standard when it comes to advertising campaigns; people feel a connection before even knowing what it is. For example, for me, when it comes to advertising and promotion, I know that the Coca-Cola company is always top notch. Everything they produce is on strategy, entertaining and engaging to the consumer. Their brand has had so many successful campaigns keeping the long-standing idea of sharing, friendship and community in tact. Red Bull has a long-standing and successful campaign. People know the brand, they know the advertisements and they know the overall tone of the company. “Red Bull Gives You Wings.” – This well-known slogan was first introduced in 2000, but little did Red Bull know, this simple slogan would eventually cost them millions. 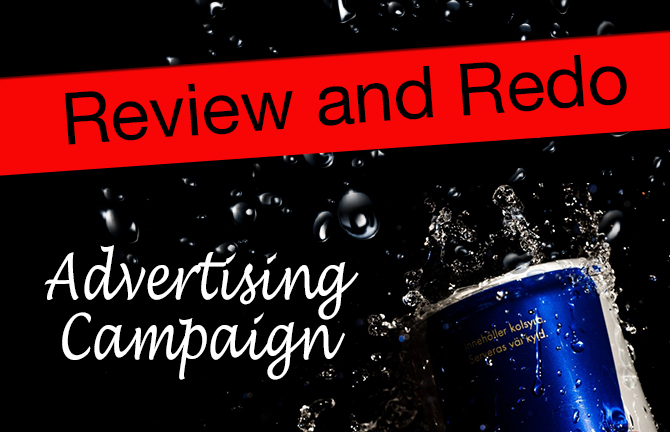 Red Bull was forced to settle the case out of court, and the company pledged to refund $10 to any US customer who bought the drink since 2002 and agreeing to amend future advertising. When it comes to advertising, people are always interested in the, “what’s in it for me”? In marketing, you have to be cautious about what you say. Even if you know that your energy drink won’t miraculously cause you to sprout wings, you can’t say something that isn’t true. The new Red Bull ads don’t focus on people sprouting wings, but instead the idea of wings and what that could mean. In the example below it’s implied that drinking Red Bull could make you successful and irresistible. I guess someone could sue and say, “I’ve been drinking Red Bull and I haven’t had any success,” (but that statement wouldn’t likely be as impactful as growing wings). In MY opinion – I would have focused on the symbolism of wings throughout the whole campaign. I like the slogan, “Gives You Wings,” but I would have used it to convey that the idea of doing things freely. Rather than have people fly in the air, I would have focused on flying through tasks, because ultimately, that’s the intention. If I was on the team when they were first starting out, I maybe would have went with something like “it’ll help you fly,” because you can justify that by saying “fly through tasks”. Overall, I think they worked with the slogan and made it one of the most well-known from the past 20 years. Despite the lawsuit, they have done a great job as a brand. With a few minor tweaks in the beginning, there isn’t much I would redo! I think, starting out, Red Bull should have been more cautious while branding and set the tone for its energy drink. But now it’s in a great place. Their commercials are cheeky, funny and different. It’s a great way to draw in the attention of consumers. Red Bull likes to entertain, whether it’s to its target audience or not. The new print ads however, are now focused on being active and sports driven, partly due to the fact that Red Bull is the sponsor for many sporting events so it has become the lifestyle associated with Red Bull. With consistent cartoon commercials and an athletic backing, I’d say Red Bull has found where it should be.